Help us celebrate the Everyday Heroes in our agencies during Customer Service Week, October 5-9, 2015. In 1992, Congress passed Public Law No: 102-481, which proclaimed the first full week in October as National Customer Service Week. 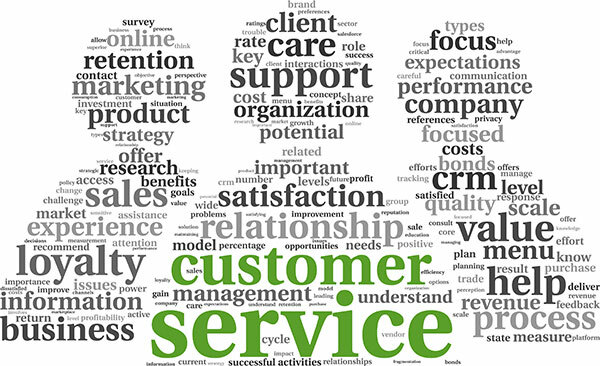 The Principles and Practices Subgroup of the Customer Service Cross Agency Priority (CAP) Goal has started work on a Customer Service Week Toolkit which will feature sample social media posts, pictures to share on social media and agency websites, and posters to display in offices. Federal agencies are encouraged to promote Customer Service week, and the new toolkit should make it easy to participate. The toolkit will include marketing materials such as articles and good news stories, proposals for executives to observe front-line work and thank employees for their service, and sample language to include in employee newsletters, emails or other communications. There will also be local networking events throughout Customer Service Week in the local Washington, D.C. area, so stay tuned for an event near you! We encourage all agencies to participate in Customer Service Week and to use these materials and resources. Please email Alison Sturgeon or Rachel Flagg with questions, or to share ideas and resources for the Customer Service Week Toolkit, which will be available in early September.